Housing growth? Yes. Smart growth? No so much. When an Alameda County judge overturned Pleasanton's housing cap earlier this month, social justice activists immediately hailed it as a victory for affordable housing. 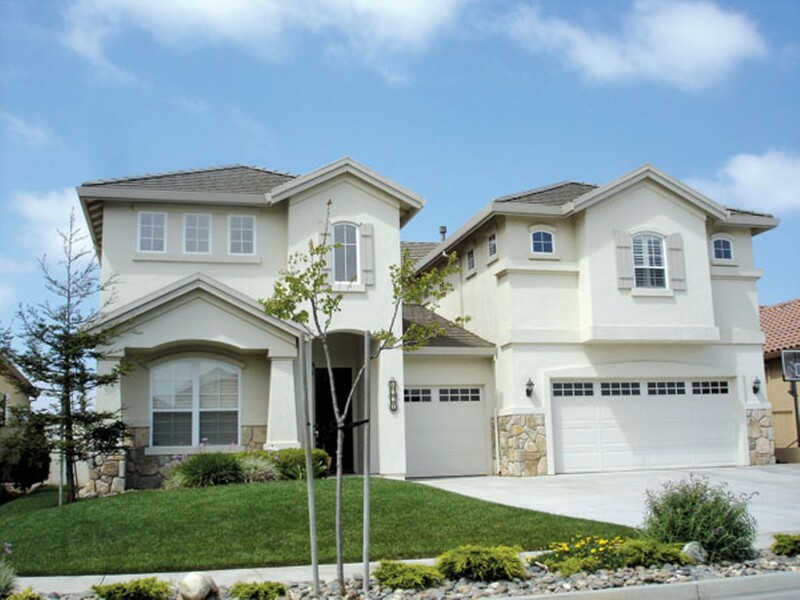 The ruling by Superior Court Judge Frank Roesch will require Pleasanton to finally allow homes to be built for low-income workers. But Roesch's decision went farther than that. It also will force the leafy town to accommodate more market-rate housing, which could potentially worsen suburban sprawl and hamstring the fight against global warming. Roesch ruled that a 1996 voter-approved initiative that capped the number of homes in Pleasanton conflicted with state laws requiring communities to accommodate enough housing for future growth. But the ruling, if it withstands a possible appellate challenge, also could provide a legal excuse for other suburban cities to continue to expand and worsen sprawl. And if they do, it will only put more cars on the road, force longer commutes, and increase greenhouse-gas emissions. The ruling is not the judge's fault. Pleasanton's housing cap was clearly illegal. Cities can't violate state laws that require them to plan for growth. But the problem is that state law doesn't provide enough incentives that housing and jobs be built next to mass transit. Instead, the law is amorphous; it merely requires that communities meet future "housing needs." It does not limit suburban expansion nor spur dense housing and job creation in urban areas where it will have the least impact on climate change. In short, suburbs are free to attract more jobs as long as they build more housing. Berkeley Mayor Tom Bates, who sits on the Bay Area Air Quality Management District Board and the Metropolitan Transportation Commission, believes California law needs to be changed to encourage strict new smart-growth standards. "What we really need is good transportation planning coupled with housing development planning," he said. "Growth just to have growth is not the answer." But Richard Marcantonio, an attorney who represented the group Urban Habitat in its defeat of Pleasanton's housing cap, thinks a landmark state environmental law will help slow suburban sprawl. Known as Senate Bill 375, the law was enacted in 2008 and will take effect over the next several years. It requires that the Bay Area and other regions throughout the state adopt a "Sustainable Communities Strategy" that ties population growth targets and future housing needs with mass transit and greenhouse-gas emissions. The new law could help lessen the impact of Roesch's ruling, because regional planning for future "housing needs" will be connected to transportation planning. Current state law, by contrast, treats these issues as if they were in a vacuum. It requires Pleasanton to accommodate more housing because it has become a job center over the past two decades, but it says nothing about whether the new homes should be built near jobs or mass transit. Senate Bill 375 at least attempts to address this problem. But even though the new law is an important step forward in the fight against climate change, it doesn't go far enough to spur transit-oriented development. For example, the law will not prevent suburban communities from building more tract-home developments once the housing crisis is over. Environmentalists also acknowledge that part of the problem is that the Metropolitan Transportation Commission continues to fund expensive suburban road projects that encourage even more sprawl. Still, Pleasanton's housing cap had to go. In a brief filed in the case, state Attorney General Jerry Brown, who also sought to overturn the cap, noted that nearly 80 percent of the people who work in Pleasanton commute from elsewhere. That's because the city has bent over backward to attract business and jobs over the years but not housing. The judge's ruling will result in more affordable workforce housing, and more housing overall, but unfortunately, it says nothing about where the new homes will be built. And based on Pleasanton's track record, the city may end up expanding outward rather than building apartments and condos near its BART station. Ironically, the 1996 law that Roesch overturned was originally supported in part by environmentalists who sought to curb sprawl in Pleasanton and the Tri-Valley area. But the cap, coupled with Pleasanton's job growth, only forced sprawl to move into the Central Valley. And so it took a different environmental/social justice group, Urban Habitat, to recognize that Pleasanton's cap was effectively forcing low-paid workers to commute long distances to their jobs and thus should be overturned. If California is serious about combating climate change, then it clearly needs some powerful incentives for cities to build housing for people not only near their work, but also next to mass transit. And some strong disincentives to help stop sprawl.